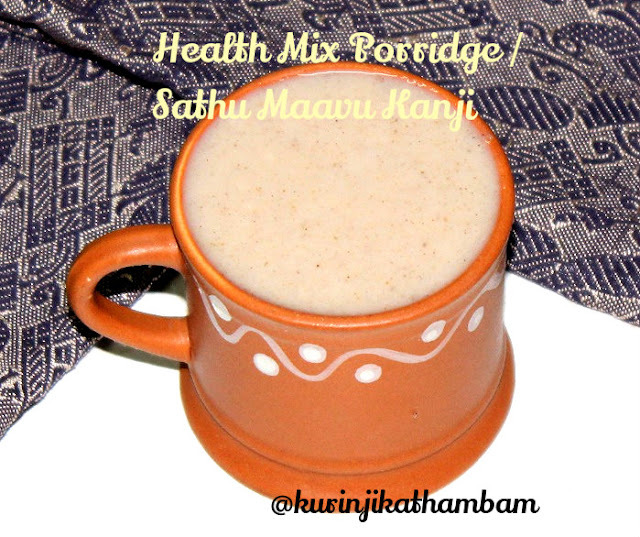 Health mix porridge is a good healthy replacement for tea and coffee, especially at early morning and late evening. Health mix porridge and a banana is quite filling for kids and gives enough nourishments of a quick breakfast. 1. Take health mix powder in a small bowl and add ¼ cup of water. Just leave it for 2 mins. Then mix with spoon or small wishk without any lumps. 2. 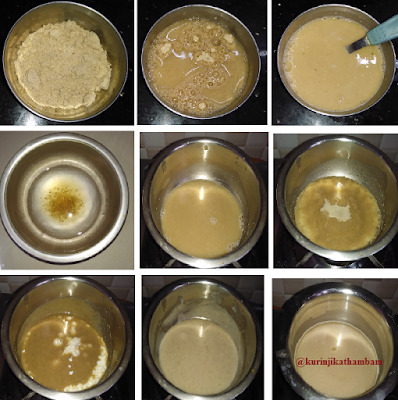 Meanwhile, mix palm sugar candy and the remaining water. Heat this mixture at medium flame and bring it to boil. When it starts boiling add the health mix mixture and keep the flame low. Mix them well and stir continuously till the mixture becomes thick. 3. Now switch off the flame and add boiled warm milk and mix well without lumps. Serve it either hot or warm. 1. Sugar is optional, you can also add salt instead of sugar. 2. Milk is also optional. Either increase or decrease the milk quantity as you like. 3. Add buttermilk instead of milk after the porridge cool down completely.